Florida Law Advisers, P.A., is a local law firm with concentrations in: Divorce, Bankruptcy, Family Law, Wage Garnishment, Child Custody, and Home Foreclosure Defense. Florida Law Advisers is well recognized both locally and nationally for our legal counsel, we are A+ rated by the Better Business Bureau and have been featured in publications throughout the country. We understand that clients need solutions to their problems, not overpriced legal fees. 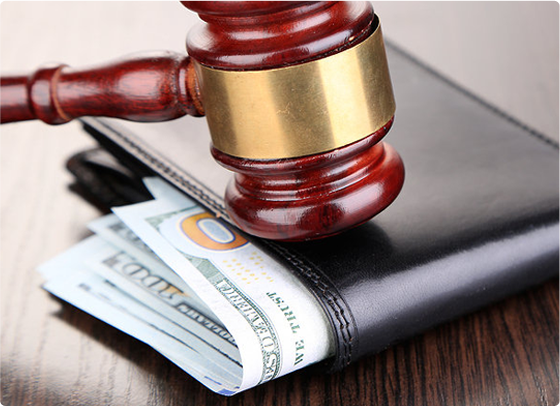 Our firm’s mission is to deliver high quality legal representation at a reasonable cost. If you have a problem that requires legal representation, we may be able to help. Please contact us today via telephone, webform, email or webchat to schedule a free consultation. We have both daytime and evening appointments available to accommodate all of our clients and their busy schedules. As a Topgrading company, our hiring processes are unusually thorough. There are competency interviews but also a chronological interview in which we ask about your entire career – all your successes, mistakes, key decisions, and key relationships. Applications will also be asked to arrange personal reference calls with their former supervisors. The benefits to high performs who apply are many: (1) you will be joining a team of high performers; (2) career opportunities with Florida Law Advisers are unusually good because so many high performers continue to grow the company; (3) you will receive comprehensive coaching to help you assimilate smoothly into Florida Law Advisers; and (4) help to formulate your individual development plan to grow your career within the legal industry. The bankruptcy attorneys at Florida Legal Advisers, P.A. have years of experience helping consumers get their financial problems resolved by taking full advantage of the protections provided under Florida bankruptcy law. In many circumstances a borrower can eliminate all of their debt without having to sell any of their assets.Call us today to schedule a free consultation with one of our trusted bankruptcy attorneys. During the free consultation. Our Florida family law attorneys have extensive experience in a wide range of divorce and child custody matters. Every divorce and child custody dispute is different. Our vast experience allows us to cater our services to each client’s individual needs. Whether a couple mutually agrees to the terms of a divorce, or are engaged in a fierce battle for their property and child custody rights, Florida Law Advisers, P.A. can help.We understand that your divorce.